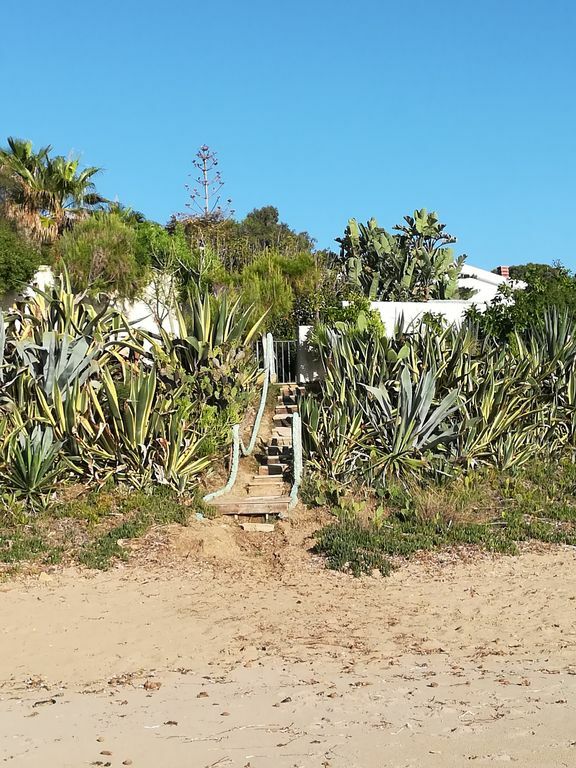 It enjoys a privileged location just 20 meters from the sea which is reached by a private access to the beach of SAN MARCO, sandy beach ideal for pleasant walks and beautiful sunsets. Very close some bathing establishments where you can enjoy pizza and delicious seafood and take part in evening events where you can spend evenings or dancing. 3 km away is Sciacca, known for its historical carnival and for its ceramics and historical location that has been inhabited since prehistoric times and offers in its upper part in Monte San Calogero the spectacle of the steamy stoves where the air reaches 40 °. Places of interest nearby, such as the Terre Sicane, Menfi (20 km), Sambuca di Sicilia Santa Margherita di Belice. Nearby in Montevago, you can enjoy the thermal baths with the water that constantly flows at 40 °. The view on Lago Arancio da Sambuca is splendid, but also on the surrounding vineyards. At 60 Km there is Agrigento with its Valley of the Temples, a UNESCO site.